Customer Pam has recently lost a dear friend in a battle with cancer. 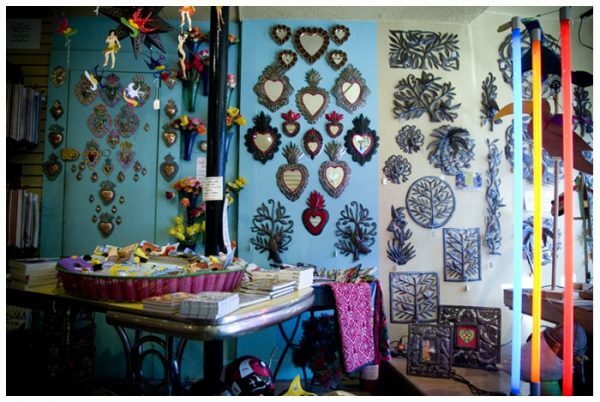 Her co-worker includes a special Haitian metal art cross in their store’s order to remind her of life beyond. Artist Jean writes us to please include a strong order for him because he needs to make the tuition payment for his children’s schooling this month. Artist Exulian Exuma (he does all of our owl pieces) tells us that he and his family thank God every night for Beyond Borders and the work created by the orders from the stores in the US. Janet (Beyond Borders) used to own a retail store herself. Last Saturday while visiting the new owner at the store, Beth walked in. Beth had bought the first piece of Haitian metal art that Janet sold in her store. Even before the doors were opened, Beth spotted the rooster hanging on the wall and had to have it for her home. She has added to her collection over these past five years and continues to share the art with many friends and family members. Artist Hubert has taught the art to more apprentices than anyone can count. But his teaching is not limited to art; Hubert also offers spiritual guidance as pastor of the local church in Croix des Bouquets. Eleven-year old artist Jean David comes home from school to create art. 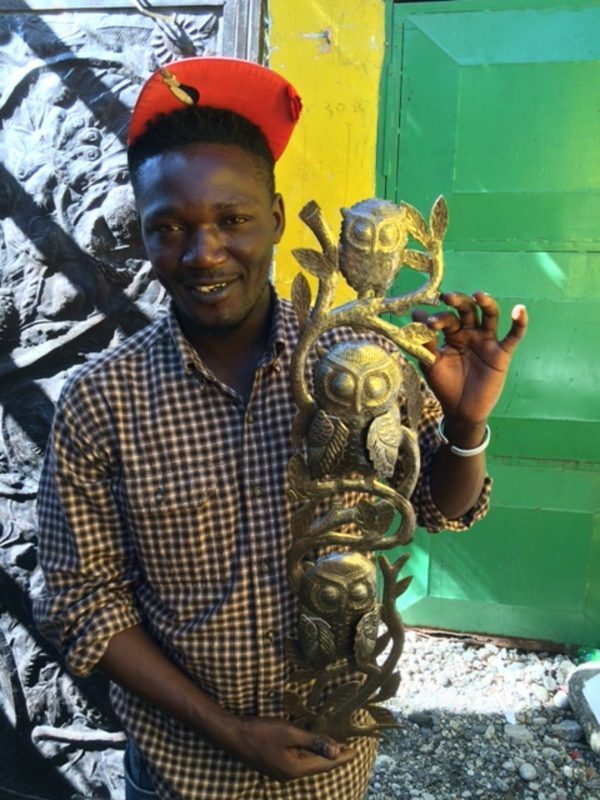 He aspires to be like his father, a Beyond Borders artist in Haiti, and provide for his family with earnings from “fer découpé” (cut metal in Haitian Creole). He designed and makes our “Peace Harmony” SM727. When the earthquake of 2010 destroyed all of the homes of our artists, Beyond Borders was able to respond immediately with money to rebuild. While governments and large NGOs struggled for weeks (sometimes even months) to figure out how to assist those in need, the Beyond Borders’ bank account in Petionville, Haiti (under the direction of Beyond Borders founder Casey Riddell) was able to distribute funds within days enabling our artists to get back to work and share their art with those of us in the United States and Canada. We are humbled by the interconnection that this Haitian metal art work has created for us and our “new family” around the world. You, your customers, the artists and their families in Haiti, those of us working in Ohio – we are all brought together. We are reminded again that, indeed, we are one human family. 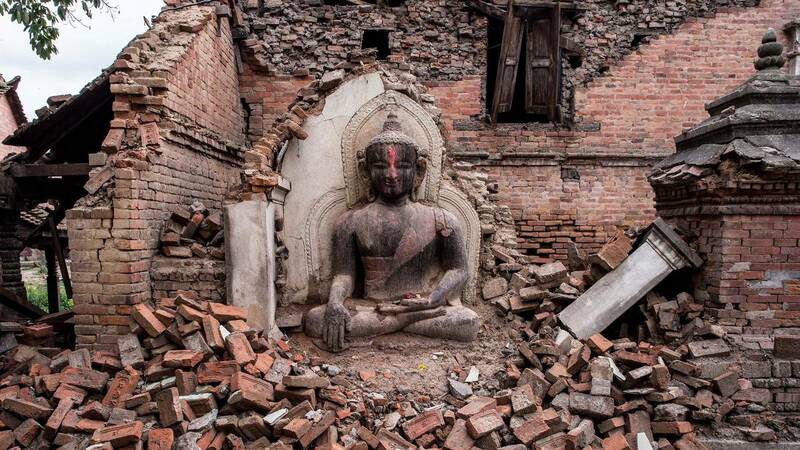 As one brother and sister, we are grateful for all of our new-found relations.And so our hearts also go out to our family in Nepal who have been devastated by earthquakes. 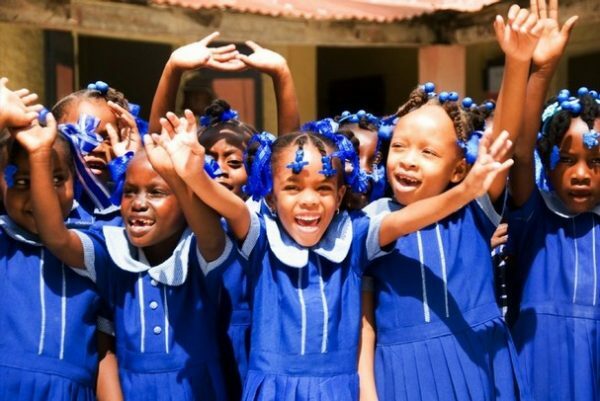 We know from our Haitian sisters and brothers how traumatic this is for individuals and the country as a whole. A fellow fair-trade friend and wholesaler – Mac McCoy – works with Nepalese artisans with his company dZi. He is sending funds directly to his artisans through his website. We invite you to join us in supporting direct efforts to bring some relief to the people there.